Want to give you E-Class Cabriolet a different look from the stock options? 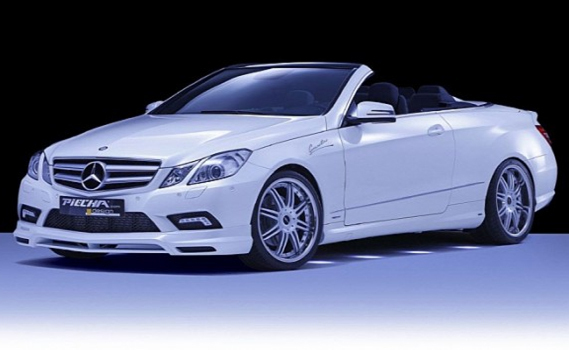 Check out this Mercedes-Benz E-Class Cabriolet Kit from Piecha. A more aerodynamic body style includes new side skirts, a redesigned bumper, a sleek spoiler, and new 19-inch custom spoke rims. While the original E-Class Cabriolet looks pretty good, this Piecha kit adds even more WOW-factor.